Official 2010-11 Senegal home football shirt manufactured by Puma. Available sizes are S, M, L, XL, XXL. Brand new official football kit of the Senegalese national football team. 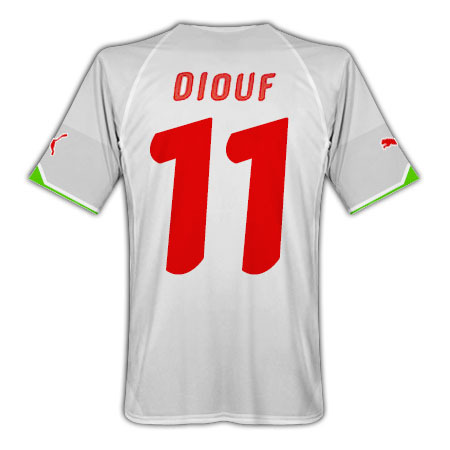 This football shirt comes with official shirt printing of Blackburn Rovers star El-Hadji Diouf.